Fuyu persimmons, though hard, will get soft and even squishy in time. Since it’s the end of their season, mine were semi-soft. So if you make this recipe early in the Fuyu season (November or early December), you might want to use the longer cooking times as noted in the recipe to soften the persimmons to your liking. 3 cloves garlic, minced, ~2 tsp. In a large skillet or electric frying pan, brown chicken thighs on both sides in 1 tbsp. coconut oil, over medium high heat (~350 degrees F.) Remove from pan and set aside to cool. Add remaining ½ tbsp. coconut oil to skillet and turn down heat to medium. 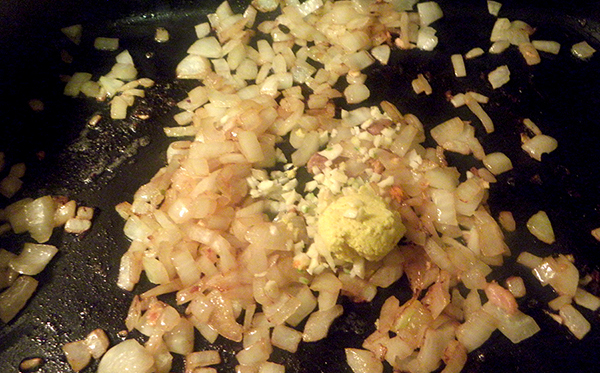 Sauté onions until soft over, adding more oil if needed, about 2 minutes. 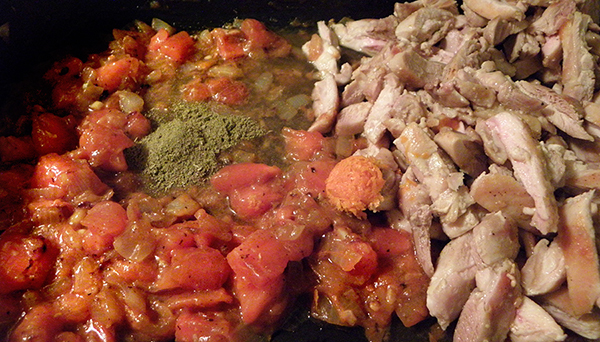 Turn off heat and deglaze pan with fresh orange juice and vinegar. Turn heat back to medium, and add garlic and ginger. Stir constantly till fragrant, about 1 minute. Add persimmons. 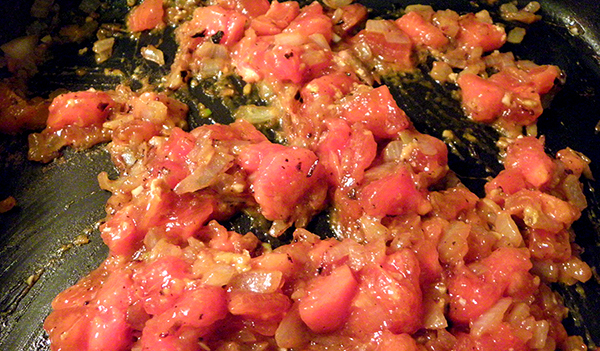 Sauté till persimmons start to soften, 1 – 4 minutes (depending on ripeness). 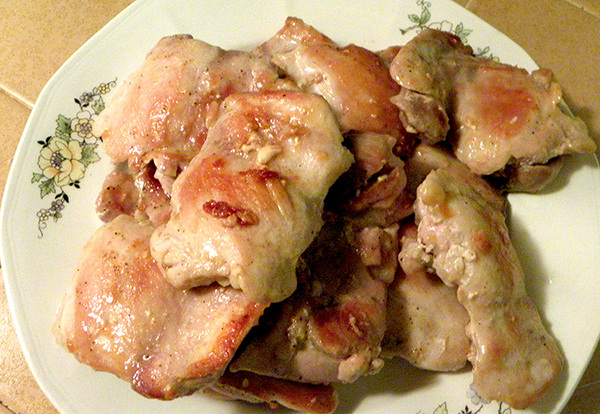 Meanwhile, cut cooled chicken into strips. 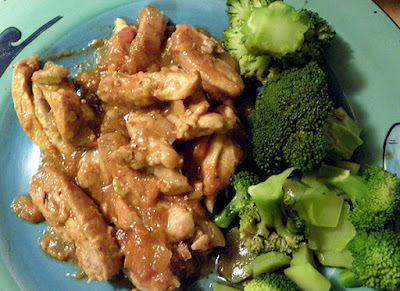 Add chicken strips, orange zest, poultry seasoning, cayenne, and chicken broth to skillet. 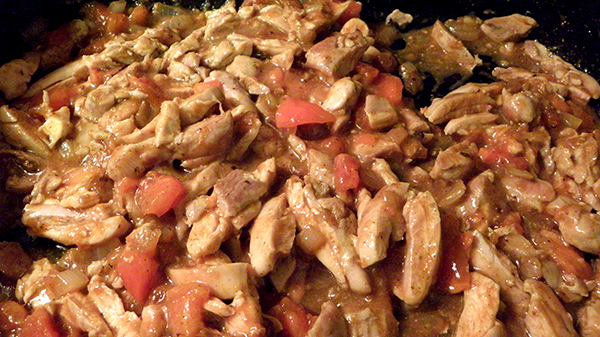 Cover and simmer for 10 – 15 minutes (depending on ripeness of persimmons and how chunky you like the sauce). Stir in salt. Adjust seasonings if needed. Serve over rice or noodles, or a bed of steamed spinach. 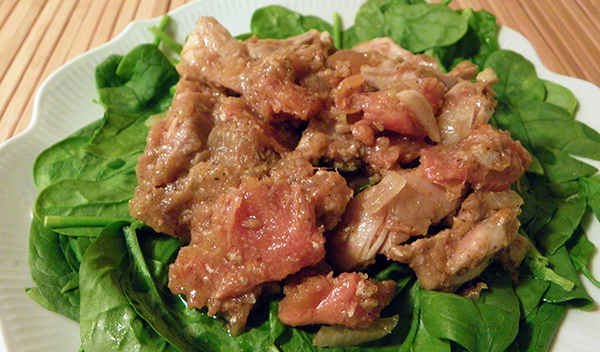 Add the Star Ingredients: Persimmons!